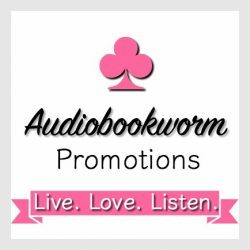 ← Get Your Fix with TOUCH THE SUN by Cynthia Wright in narration form. Experience the pangs of becoming a nation in the larger scope and making personal wrong choices detrimental to the heart. Published by: Dragonblade Publishing, Inc.
My Thoughts: Outrageously unbelievable, yet the author makes it very believable, pulling me right down the rabbit hole with Fay and Sophie! My opinion? This one is a winner with a dynamic, unique plot. Cayman is a master at world building, keeping me flipping those pages, demanding answers! Twists, turns, back steps, oh my. Your head will be spinning. Read the series! You’ll be stoked! My following remarks will sound a bit convoluted, but will make perfect sense once you get into the series. This author knows how to push all my buttons. Chapters end on cliff hanger while the next scene takes me to another point of view with a scene leading up to the one which leaves me gasping! Oh, how fun! Cayman has me so tightly coiled, putting down the book was nay impossible! The story is full of twists and turns, not only the fear of time running out. Would they all die? And what kept me reading most avidly was who is manipulating the curse and how are these girls going to get out of this terribly frightening situation? And always the ever-present curse which seems to not follow its own rules. Fay had a year before the curse had reset the whole scenario. The next time she thought she knew what would happen, but found life didn’t quite happen the same way, again. The resetting of time just about made Fay (heroine in book 1) give up, but she wanted to break the curse. If she could, she possibly could go back home. But then she wasn’t sure she wanted to because Tristan had become her true love. Fay had put on the wedding dress found in a Grancourt castle’s ruins and is propelled back 600 years. She didn’t succeed in breaking the curse, but almost succeeded in being killed. Luckily, the curse had reset time. (part of book one) Where those who had died, were once more alive, where those she had known before, replay scenes, but with variations. Sophie from the future (book 2), also puts on the wedding dress becoming Fay’s new sisters. Everyone recognizes her as Lady Sophie. Both girls are now trying to break the curse. They are still in 1398. In the process, they become very attached to each other as does this reader. The elder daughter Anne is the true daughter of Grancourt Castle, sickly, dying in book one, one of the pieces of this story which breaks Fay’s heart. Can she prevent it the second time when the curse resets? Sir Leo Zane is a new character in the resetting of the curse. Will he be affected? Sophie is definitely attracted to this older man, an injured warrior, but he feels he’s not good enough or young enough for Sophie. To Sophie, can he be her true love, the one the curse says will break it? I’m ready to wring Sir Leo’s neck! He’s so unsure of himself, yet time after time he steps up to the plate and gets the job done. One thought comes to mind, perhaps everyone is misinterpreting the words of the curse? I’ve got to find out! True to Cayman’s style, she leaves me on another cliff hanger of sorts at the end of the book, but gives us a peek into how the story evolves. Dear author, leave me not in too much suspense. Write that third book! Reader, while you’re waiting for the third of the series, the complete series is a must. You won’t appreciate book two as much if you don’t read book one. 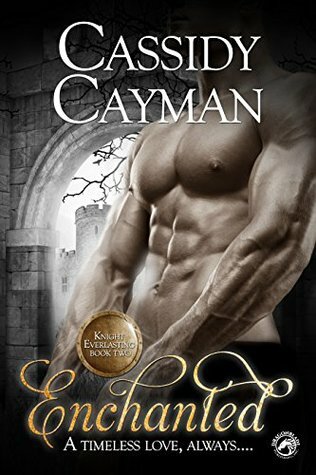 This entry was posted in Action/Adventure, Book Reviews, Fantasy, Fantasy Romance, Historical Romance, Medieval Romance, New Book Release, Romantic Suspense, Time Travel and tagged Book Review, Cassidy Cayman, Enchanted, Historical Romance F. Bookmark the permalink.